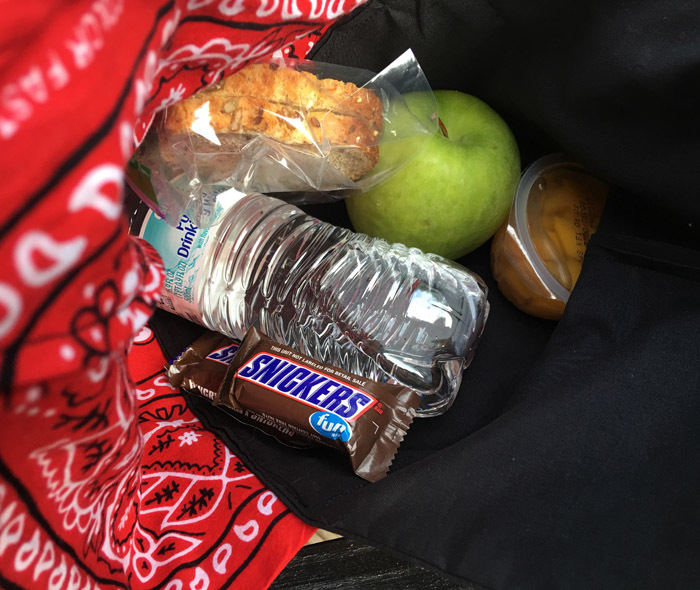 As a teacher of five different grade levels, I take at least six field trips each school year with students and I have to take a sack lunch every time. With all the recycling nowadays and everyone going green, there is a lot of pressure to have a trash-free lunch. (I thoroughly enjoy having eight-year-olds telling me that my carbon footprint is too large.) (That was sarcasm in case my words didn’t clue you in. There is not a sarcasm font…yet.) 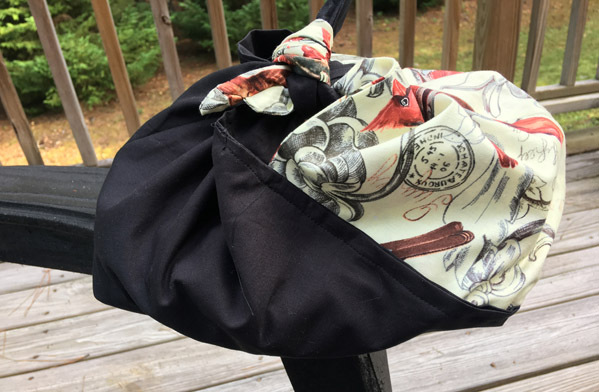 I decided to make these fabric lunch bags so that I can smugly walk away from the picnic table without making a detour to the trash can. How about that, Captain Planet? I made several varieties because of the different field trips I take. I didn’t make one for each trip, but I did manage to sew up three tonight. If you have heard of the Bento Box or Bento lunches from Japan, then you have probably also seen a Bento Bag. A Bento Box is a lacquered box that is reusable and has compartments for various foods. 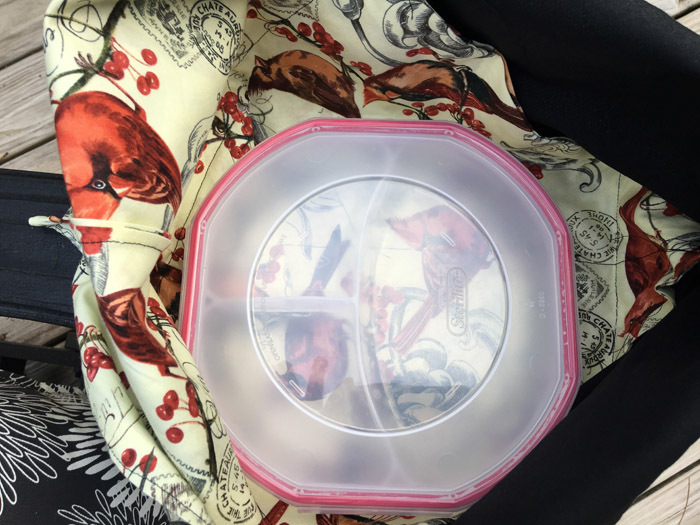 Bento can also mean a “convenient” take out meal that is a single serving. 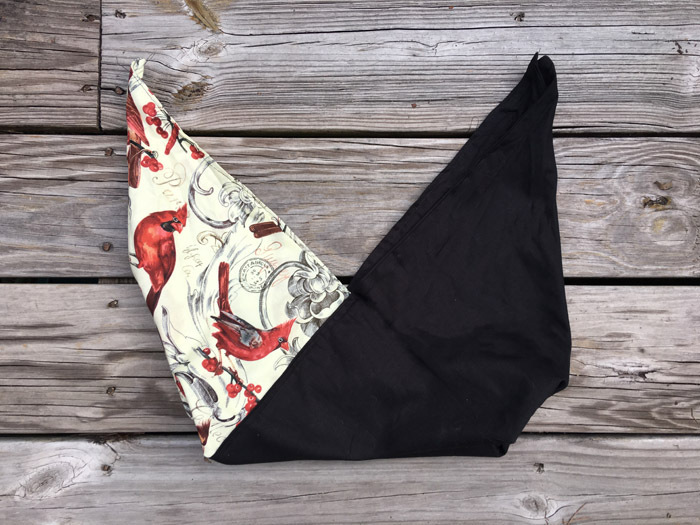 I made three fabric lunch bags tonight. Here are the directions for all three. Only the size and fabric selection varies. 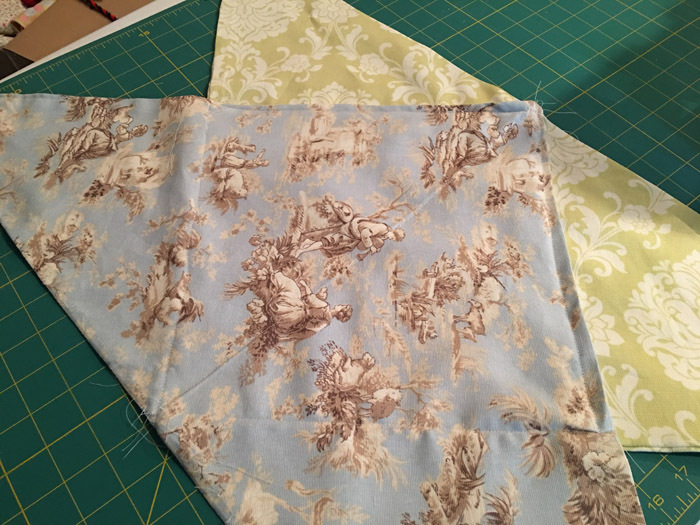 First, cut two squares of fabric. 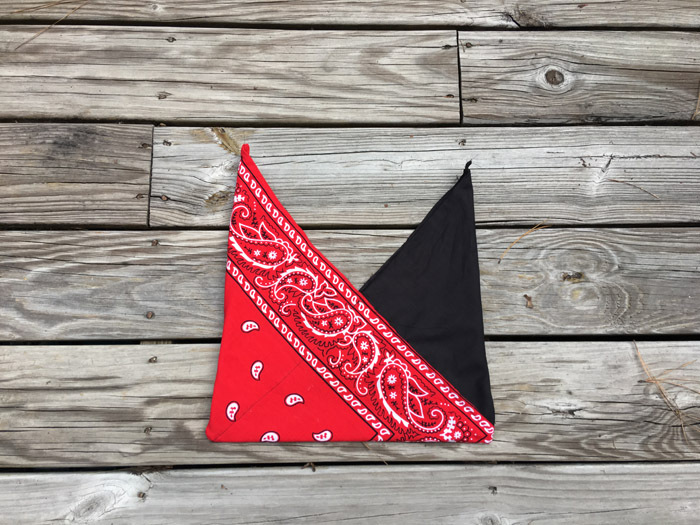 (I cut them 20 inches for the bandana, 22 for the blue and green one, and 27 for the bird bag. Your choice, but I wouldn’t go much smaller than 20 inches.) 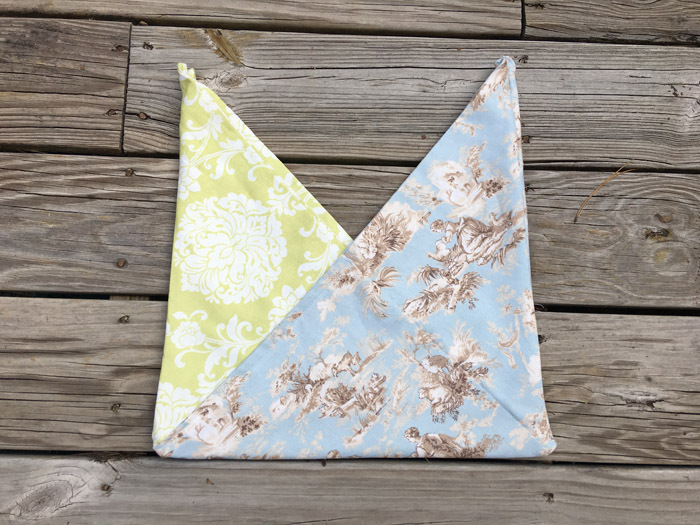 Fold square in half to make a triangle with patterned sides together. Iron the fabric making sure to keep points together. 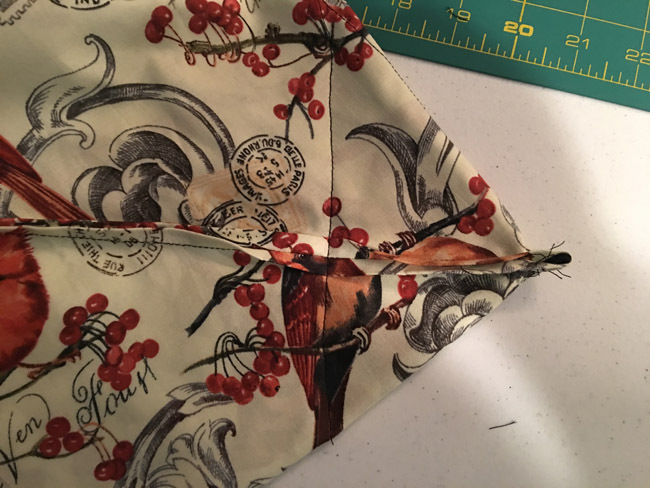 Sew the triangles leaving a small opening along one side to flip the bag right side out. Sew up the opening. Next, fold the triangles in half to make a right triangle. 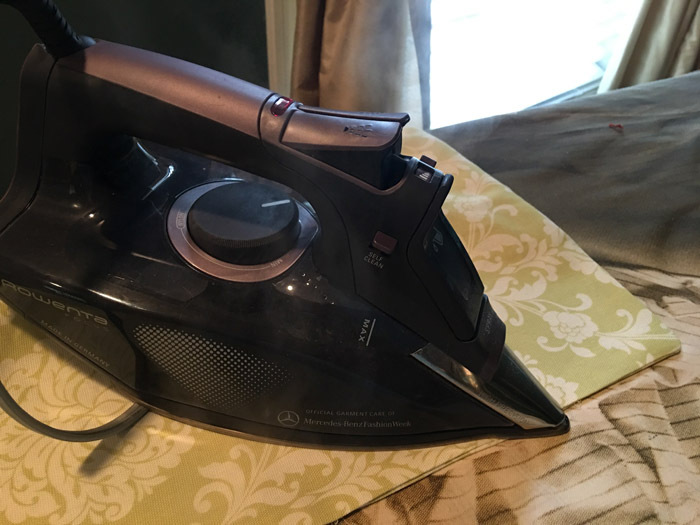 Iron to mark the middle. 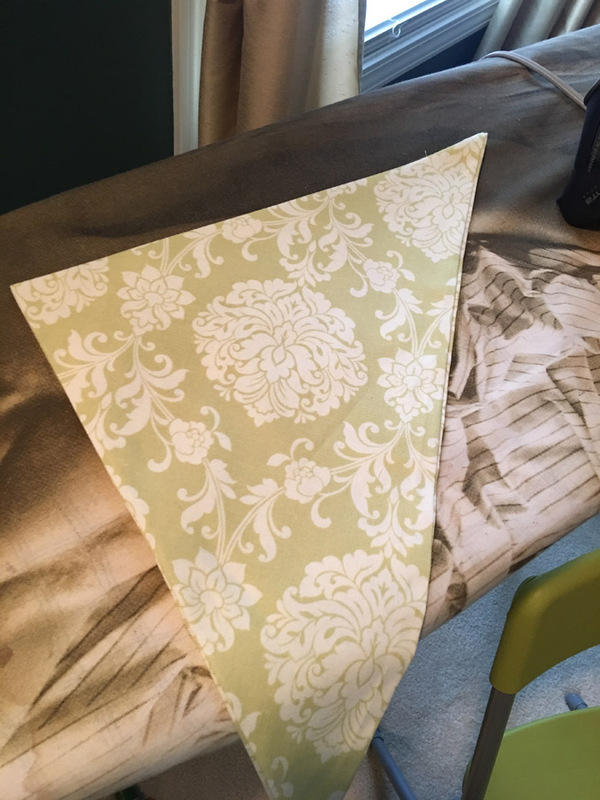 Place the triangles with the long sides out and the ironed line on top of each other to overlap. 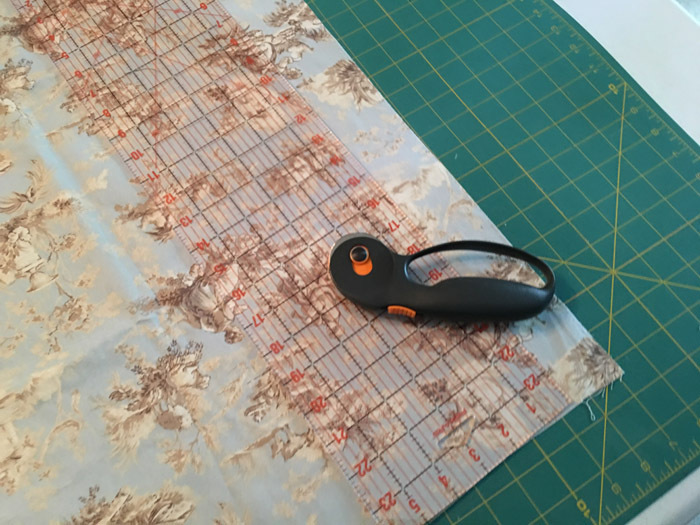 Pin together and sew 0n the ironed line. Last, determine what print you want on the outside. 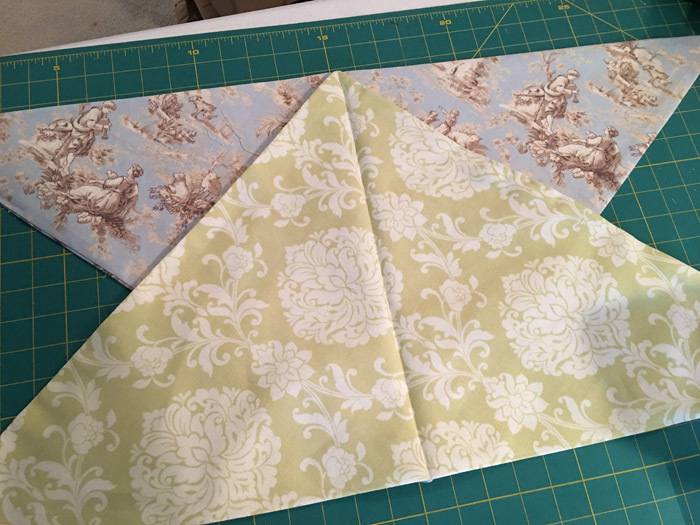 Fold in half and put patterned sides together. Sew up the sides. Turn bag right side out. 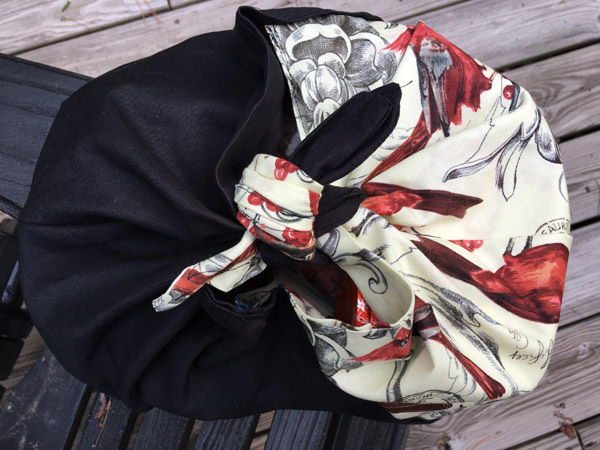 On my largest bag, I measured three inches down from the bottom corner points and sewed across to make a gusset. This allows me to have a flat bottom for a plate. Now let’s see how they work. My first trip to the farm includes a sandwich, water bottle, peaches, and a few “fun” sized candy bars because, you know, a farm is pretty fun. My second trip is to the High Museum of Art. You can’t take a farm bag into Atlanta society. 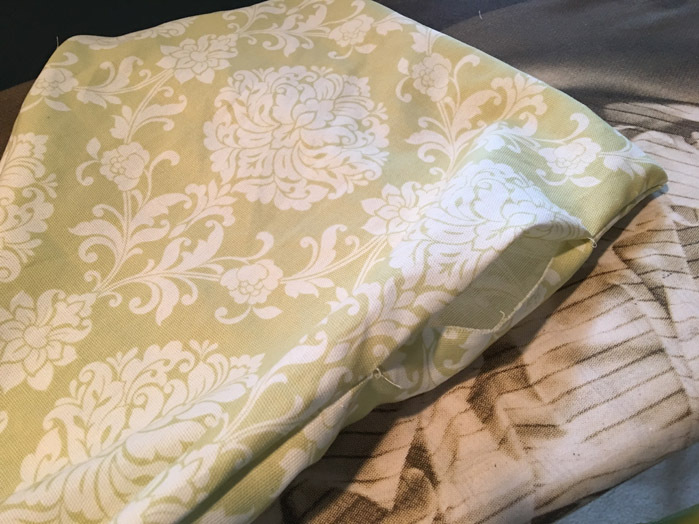 I chose some Waverly fabrics for an upscale look. 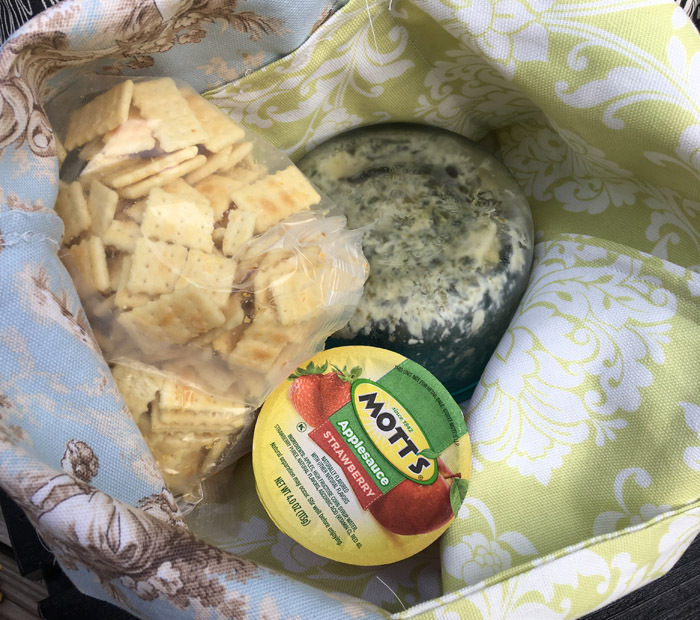 This time my lunch includes a fancy dip, lots of crackers to toss to the pigeons in the urban picnic area, and exotic strawberry flavored applesauce. Fast forward a few more trips (CNN, The Water Treatment Plant, The College Football Hall of Fame, and a December trip to an outside theater to see The Snow Queen as we walk on a dirt trail while actors leap along acting at us as we stroll in 32 degree weather with first graders bundled in blankets) to the state park. By now I’m pretty much exhausted and cranky about having to go on a bazillion field trips every school year. This particular trip to the state park includes a snake show and we have to hike down beside a rushing river with 30 third graders and keep them all out of the water while staying alert for real snakes who aren’t in captivity, yet seem to seek us out anyway. 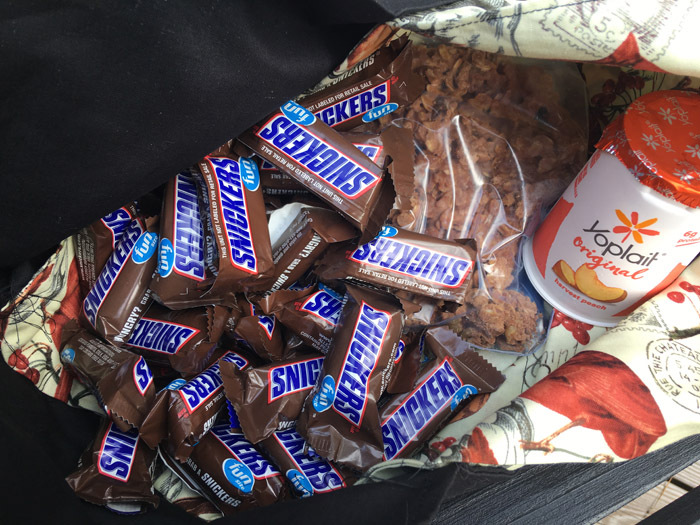 For my lunch I bring yogurt and granola since we are going on a nature hike, but the rest of the lunch speaks for itself and my personal reward system for enduring multiple yellow school bus (not even close to a chartered bus) field trips and my superhuman skills at bringing everyone back safe and sound. p.s. I actually have wonderful students and parents at my school and I appreciate them allowing me to indulge in a little humor for the sake of the blog.